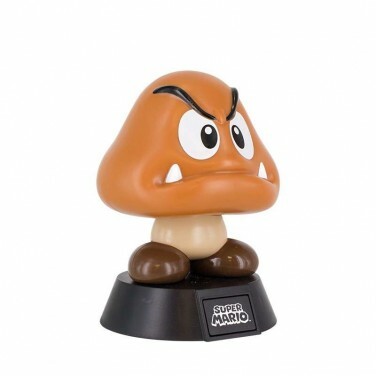 Possibly the most frequently met baddie in all of Super Mario Bros, the Goomba is an angry little mushroom that's beaten with a single stomp! 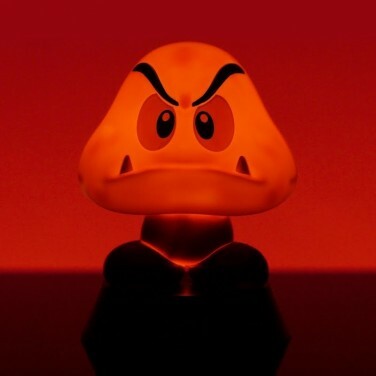 A playful little light for kids rooms, this Goomba mushroom is lit with three LEDs for a soft even glow that's bright enough to offer reassurance at night without being too bright. 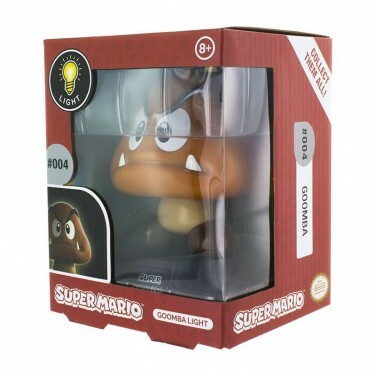 Battery operated, this fun gaming light has a simple on/off function and can be placed anywhere and can even be packed up for sleepovers too!